PHUKET: A Royal Thai Navy ship has been deployed to Phi Phi Island to bring some 500 tourists stranded there safely back to Phuket. 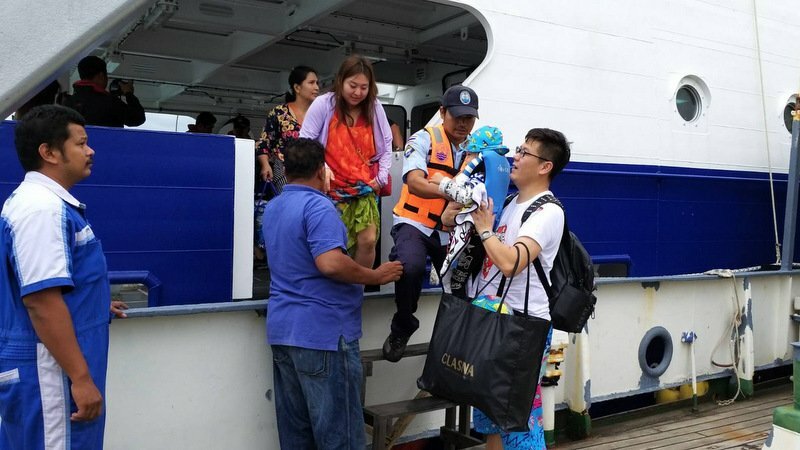 Meanwhile, another Navy boat has already today (Jan 4) safely brought back to Phuket 60 tourists stranded on Koh Racha island, some 25 kilometres south of Phuket. 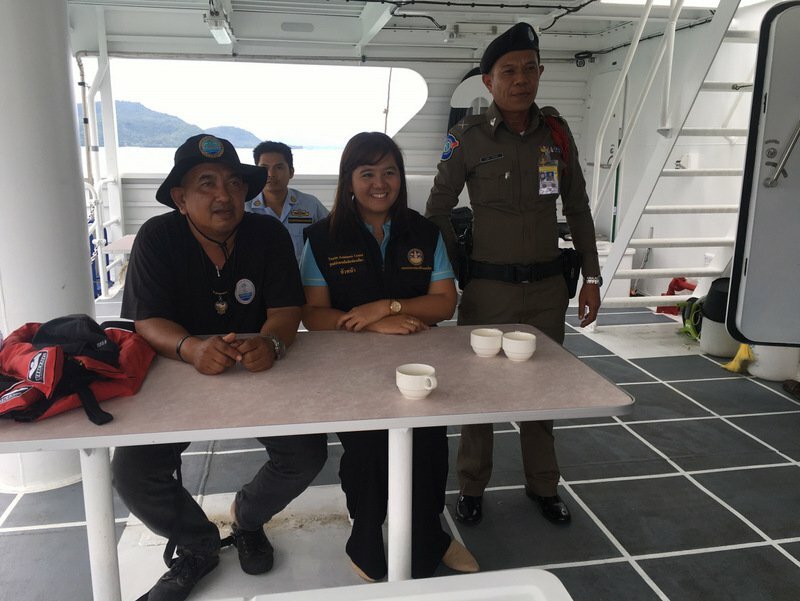 The Royal Thai Navy ship RTN Hua Hin has already been dispatched to Phi Phi Island to safely return with 500 tourists there, said Vice Admiral Sittiporn Maskasem, Commander of the Third Area Command. The RTN Hua Hin will return to the Deep Sea Port, also located at Cape Panwa, this evening, he added. 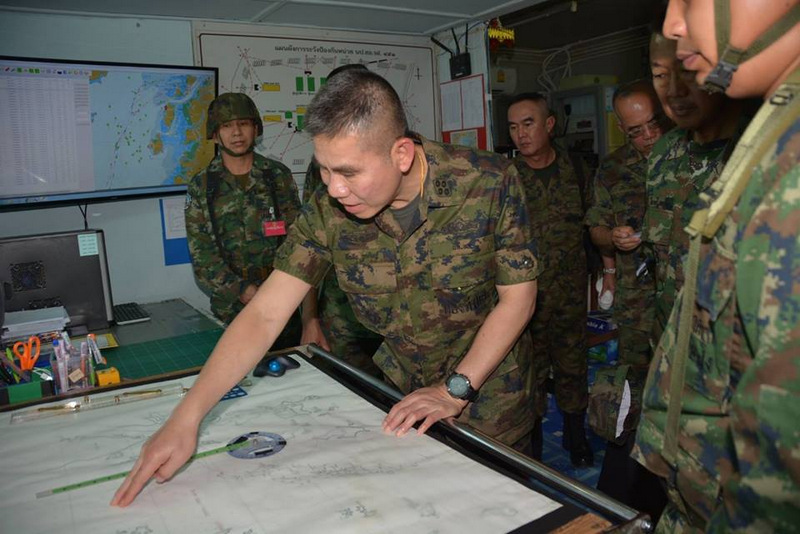 “Royal Thai Navy boat Tor 991 returned from Koh Racha with 60 tourists safely on board and arrived at the Navy base at 3:45pm,” he said. “Meanwhile, there are 500 other tourists stuck on Phi Phi Island. The Navy ship Hua Hin together with a big tour boat will pick them up. They are to arrive at the Deep Sea Port at 8pm tonight.” V/Adm Sittiporn said. V/Adm Sittiporn urged any person wanting to report the need for similar safe-return missions to inform the Navy base 076-391598. “Orr call the Royal Thai Navy 24-hour hotline 1696,” he said.